Once distracted it feels quite hard to get back to the essay (could be a report or dissertation, depending on the module/course you are doing). You may then notice that you are hungry and it is close to lunch so you decide to prepare lunch instead, as there only about twenty minutes to go. You may feel that there is sufficient time to continue working in the afternoon. But somehow it gets to the end of the day and you realise you didn’t make as much as progress as you had hoped. Then you may notice some thoughts such as “I should have started earlier, now I won’t finish by the deadline”, “it is no good enough“, and other self-critical thoughts that just bring your mood down and a create a sense of self-doubt. This is a frequent experience in academic life, and can happen to most of us who care about doing things well. However, despite our intentions we find that we delay getting started, and when we do it is difficult to maintain our focus on the task. When there are a variety of things demanding our attention, such as wanting to check social media to keep updated, or you would rather talk with your friends it is hard to make progress with work. We are social beings and we like to be in contact with others. Studying requires us to be alone for a while so that we can concentrate on a task. This may be hard to do especially when tired and when the task does not appear to be motivating. First, we need to be aware of something for us to pay attention to it, and once we have noticed it we then evaluate it to decide what to do about it. This takes time, in fact we can only focus on one thing at a time. Some people may be skilled at moving quickly from one task to the other and so they may have the feeling that they can multitask. However, every time we switch from one task to the other we need to refocus. This requires time and energy to control our impulse to do something different, and refocus again. Although this is demanding for the brain, with practice we can improve our ability to focus and maintain our attention on one task for a period of time. The more we are able to pay attention the better we can understand and remember the information. It is hard to focus when we see notifications appearing on our phones, they trigger the urge to check what it is. The phone reminds us that others are elsewhere and we may feel we are missing out. It can therefore reduce our motivation to continue with our task (Alter, 2017). In addition, you may know that the screens of digital devices can prevent us from sleeping as the light interferes with the production of melatonin, the hormone that helps us to get to sleep. Our concentration improves when we are curious, open to new ideas and when we are willing to consider other perspectives and possibilities. Experiment with playing with ideas as this stimulates our curiosity: identify what you can learn from the text you are reading, and imagine how you might apply it. Fear of failure prevents us from learning and from trying things out, which then can trigger a lot of worry thoughts about our ability to cope with tasks and can reduce confidence. Sometimes we find ourselves remembering some past experience back in school for example, when we may have experienced similar feelings triggered by something related to the present situation (eg. having to make a presentation and remembering reading out loud in front of the class). We may then feel unsure and have doubt about our ability to do the task. In academic work it is normal to have doubts because we are learning new things, we are testing out ideas, and in many cases there isn’t one right answer. Doubt makes us stop and reflect to consider the information objectively, and evaluate the facts from different perspectives to understand the topic. By reviewing and considering the feedback we receive we can learn, correct and improve our work. 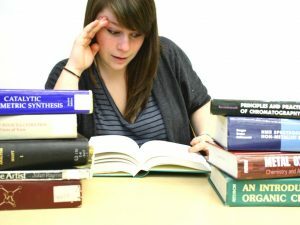 When writing your assignments or taking exams, focus on communicating what you have learned rather than thinking about the grades you are expecting as this causes tension and distract you from the task you are working on. The main objective is to submit what you have done by the deadline. Consider the feedback you receive as information that is intended to help you learn from the assignments, and then use it to correct and improve your work. If you are finding it difficult to make progress, instead of thinking “I can’t do this” practise thinking “How can I do this?” Language is very powerful and it can help us to stimulate our motivation by directing our energy to problem-solving, and taking action. 1.Notice when you get distracted and your attention wanders to other things. 2.Bring your attention back to the task, without self-criticism. The inner critic depletes our energy and erodes our capacity to persevere. something important that needed to be done soon. 4.Make a list of things before you focus on your assignment, and plan when you will do those tasks. move. This will help to regulate your breathing and reduce tension allowing you to regulate your mood. you are feeling tired get up, stretch your muscles and move. Do some exercise such as walking, or jogging. This will help to stimulate your blood to circulate and reach your brain bringing oxygen and nutrients so that it can function well. By doing some exercise you will restore your ability to focus as you become more alert, and feel energised. The movement will help to release the tension in your muscles. Why not go for a short walk to have some fresh air and enjoy viewing nature? These activities are known to improve our mood and restore energy (Ratey & Hagerman, 2009). 7.Be creative: If you’re feeling stuck do something creative for a few minutes to stimulate your brain, and your imagination. 8.Use the IF-THEN technique: Pre-plan what you will do when you get distracted so that you can work on your assignments (Steel, 2012). For example, if you know you tend to check the notifications you receive on your phone then decide to put your phone on silent, in a drawer (when in view it will be distracting and difficult to not pick it up). friends will understand that this is important t you, and agree to meet/go out at another time. present moment and letting thoughts go by. learn new things you are in effect strengthening your cognitive capacity (Arden, 2010). happening keep going, and eventually you will get it done. Alter, A. (2017) Irresistible. 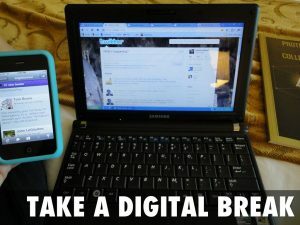 Why you are addicted to technology and how to set yourself free. London: Vintage. Arden, J. (2010). Rewire Your Brain. Think your way to a better life. New Jersey: John Wyley & Sons, Inc.
Ratey,J.J. & Hagerman, E. (2008) Spark. How exercise will improve the performance of your brain. London: Quercus. Steel, P. (2012) The Procrastination Equation. How to stop putting things off and star getting things done. London: Pearson. Next PostNext Would you like to participate in a research about sleep?